I have seen first-hand how the War on Drugs instituted by our former presidents and compounded by the extremely harsh Rockefeller drug laws has placed millions of African Americans behind bars. For over four decades, these policies have had devastating social and economic impacts on black communities across America, including my community of Harlem. 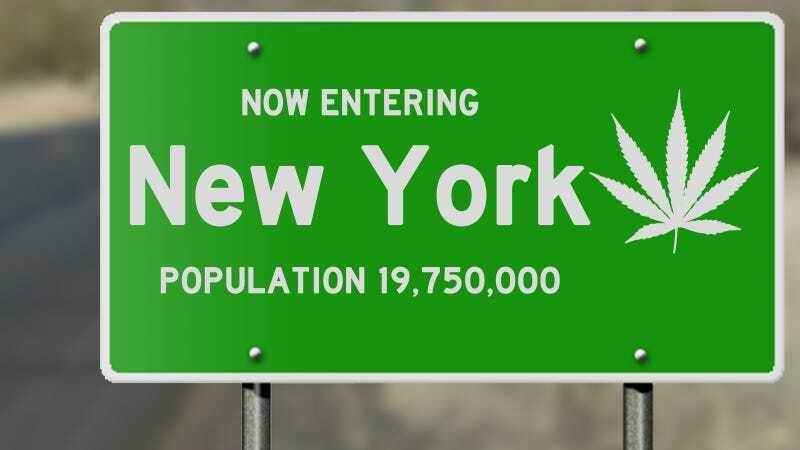 Fast forward in New York state: There is a current push to legalize adult-use (recreational) marijuana and expand access to medical cannabis in 2019. This creates incredible opportunities for aspiring entrepreneurs. The industry is slated to be worth $20 billion and create 300,000 jobs by 2020. In New York City alone, if cannabis were legalized, the state could gain up to $678 million in tax revenue. To prepare our community, the Harlem Business Alliance launched “Green Revolution: Cannabis & Entrepreneurship,” a series of events to educate and empower the black community on the growing marijuana industry from both legal and economic standpoints. We are expanding our offerings in 2019. We bring in brilliant black minds from organizations like the Cannabis Cultural Association, Drug Policy Alliance, Cannaclusive, The New York Minority Alliance, Minority Cannabis Business Association and more. As legislation moves closer to reality in the tristate area, there is an imperative need for immediate action. We must enlist the support of black leaders who have the power to shape truly equitable legislation consisting of strong equity provisions and reparative measures for black people. We need legislation that only prioritizes licensing opportunities and resources for longtime residents from communities that have been disproportionally affected; where millions of state and city funds, as well as tax revenues, will be deposited in community reinvestment funds that promote economic empowerment in communities “most harmed” by the War on Drugs. The funding would provide startup capital, resources, incubators and on-going support to black cannabis entrepreneurs, so they have the means and opportunity to succeed in an industry that was built on their backs. We need legislation that includes automatic and complete expungement of all marijuana-related convictions and protection from the continued victimization by big businesses that prey upon our community. Furthermore, community-based organizations with deep roots in their neighborhoods and staff that is both culturally sensitive and competent to facilitate the growth of sustainable black businesses must be funded. These measures cannot be lost under the umbrella discussions of diversity and intersectionality; this is about the black community. This list isn’t exhaustive, but it’s a starting point.